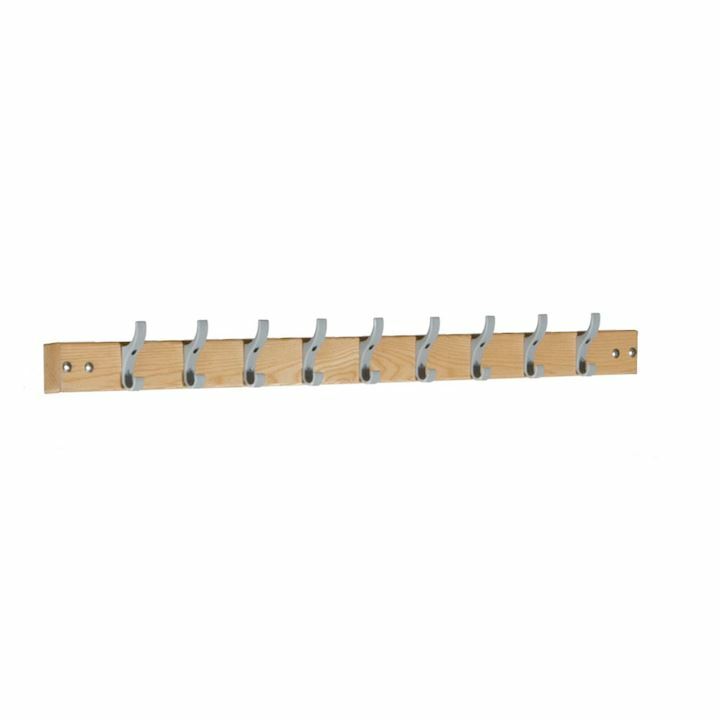 Beech coat rails make storing coats in cloakrooms, offices, gyms and schools easier. They come with holes drilled ready for wall mounting at any height on the wall. Our Beech rails are available in two sizes 900mm and 1200mm. Therefore making them versatile to fit into any area for hanging. Modern in appearance with aluminium coathooks , our beech coat rails will compliment any environment. The coat hooks have both an upper and lower hook and are available with either 9 or 12 hooks. Keeping coats neat and tidy on coat rails reduces a potential trip hazard as well as providing central and cost effective storage. Use beech coat rails in conjunction with other cloakroom equipment products such as cloakroom benches. For more information on coat rails, please contact our sales team on 01924 240291.